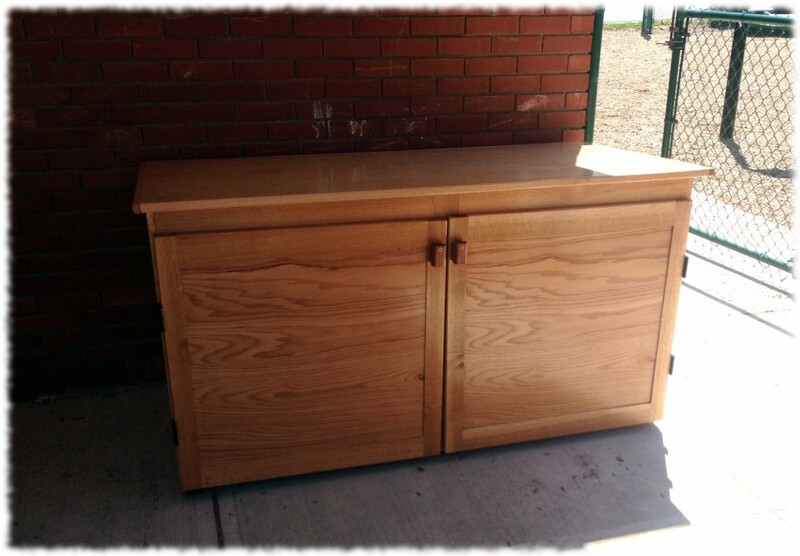 Last Sunday I delivered the second toy box to Susanna’s preschool. The third box is in the shop mostly completed – hopefully I’ll get it out the door in a week or two. The roof on the first box is in pretty rough shape after being exposed to the weather for the winter (as I had expected). I finally got the preschool to agree that a better roof is needed (than just cheap plywood). I’m going to put a corrugated PVC roof on the third box, and will retrofit the PVC roof to the first two boxes. It is nice to start reclaiming my workshop from the piles of plywood that have been taking up space for the past 6+ months.